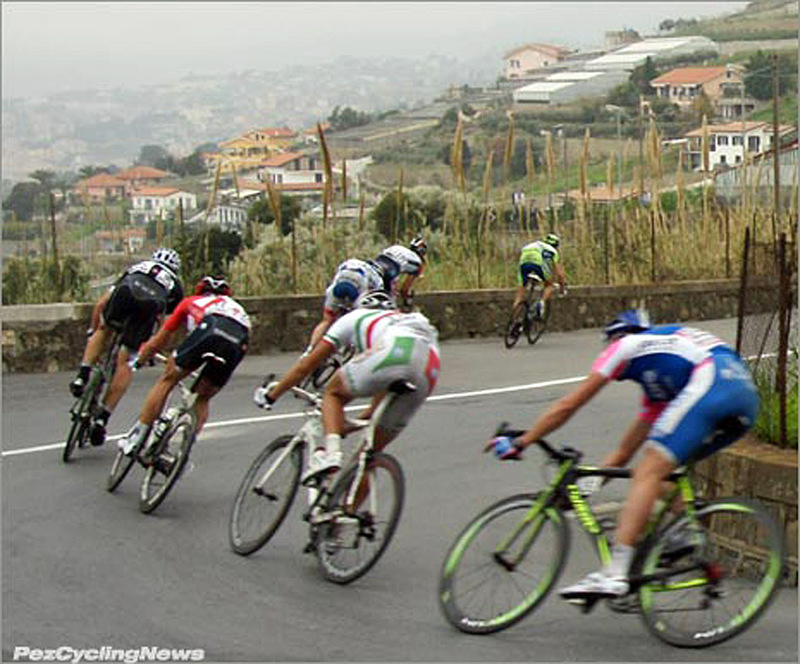 PezCycling News - What's Cool In Road Cycling : San Remo PEZ: To The Poggio! 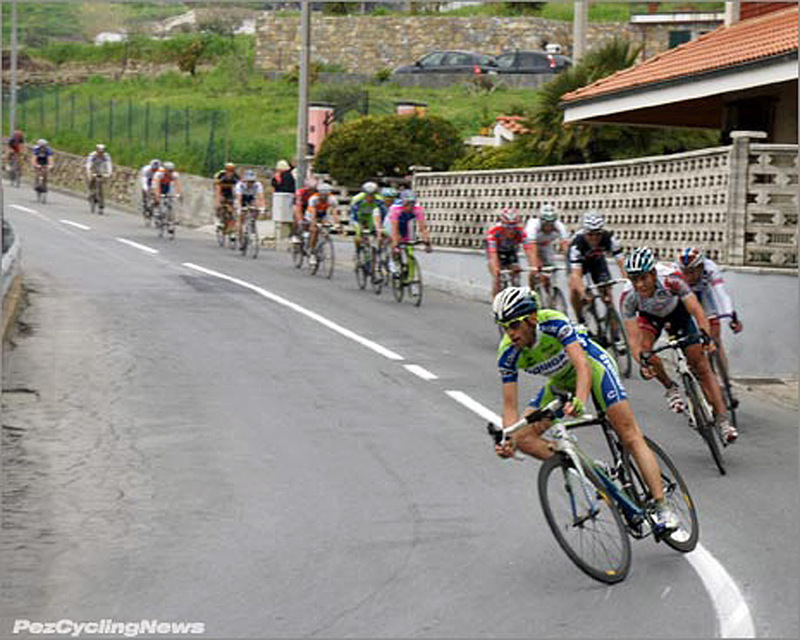 San Remo PEZ: To The Poggio! 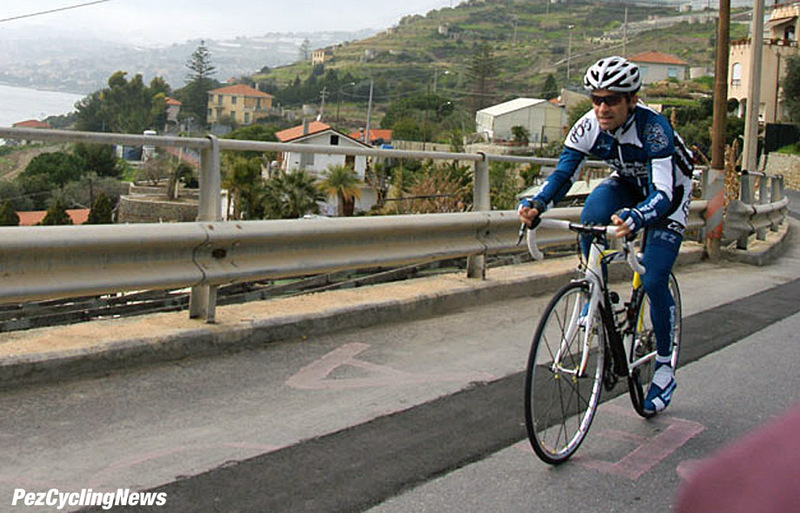 My master plan to seek my own personal understanding of “The Sanremo” was continuing nicely, and now that race day had arrived, my local plan was to ride in the AM, get back out and cover the Cipressa and Poggio again, before taking the car back up the final climb for the actual race. 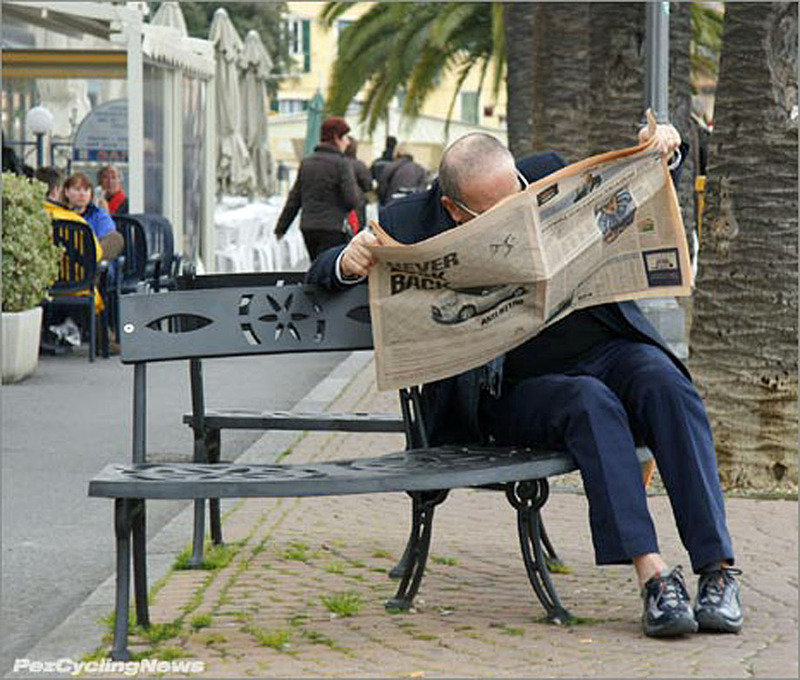 Nothing like a quick review of la Gazzetta to get caught up on the race ahead. But my ride into Sanremo on Friday was also marked by a traffic jam, not of alarming proportions by any means, but certainly one that had cars at a complete standstill on the one road leading back to town, and where I needed to get to quickly after the race. So once again it was ‘bike’ to the rescue – serving double duty as a great way to enjoy the climb again, and then also transport me through the inevitable log-jam on the coast road post-race. 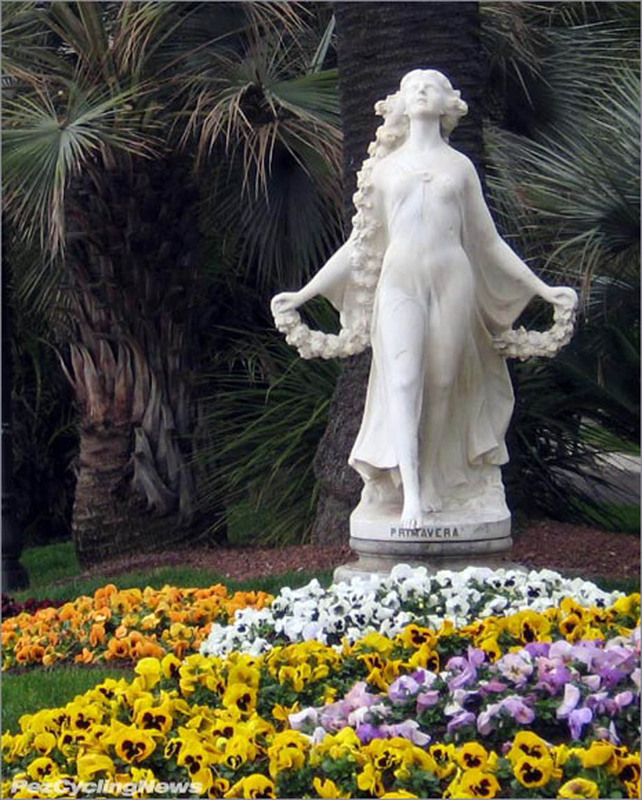 Missing the famous Fontana at Sanremo would be akin to going to Disneyland and not seeing a certain mouse. This also made a nice back drop for my upcoming look at Fondriest’s new TF1. Alessandro and Matt were already on scene at the start, and Ale’s frequent texts kept my up to date on all the action as the race rolled out and across the plains. 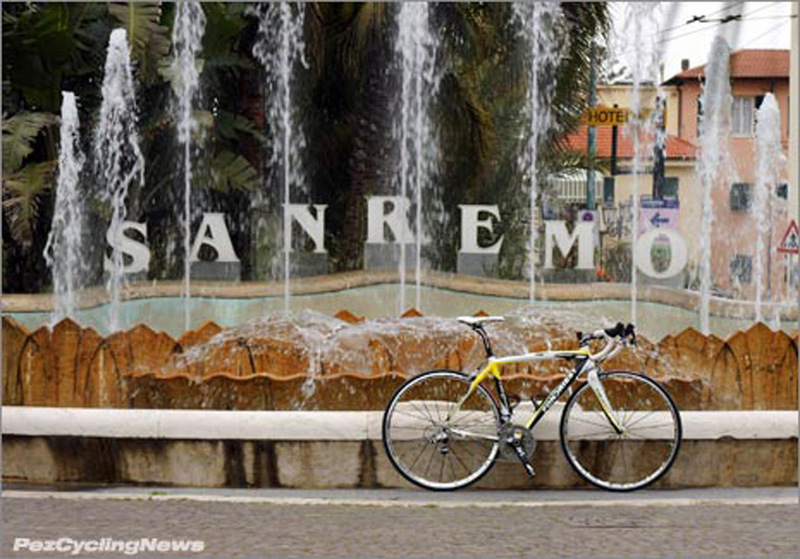 That opened up the morning for a little sight seeing, so onto the bike I went for a leisurely tour around Sanremo – and on the lookout to see just how this so-famous town sets up for this most famous day. 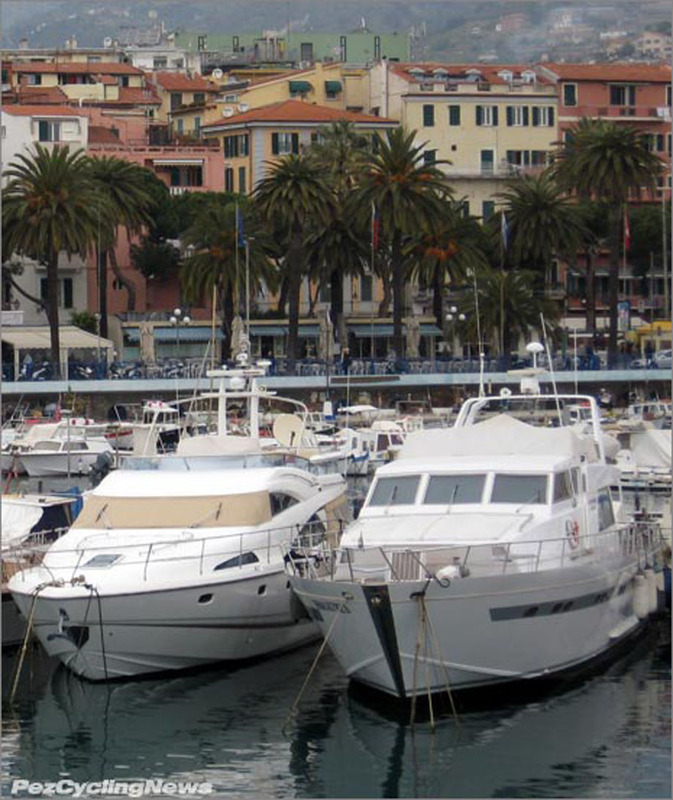 While Monaco is just few kms down the coast, and likely the undisputed champ of ‘where the really big yachts live’, Sanremo is still a gorgeous and ancient port town, with its own music festival, grand casino, and of course a few yachts for decoration. 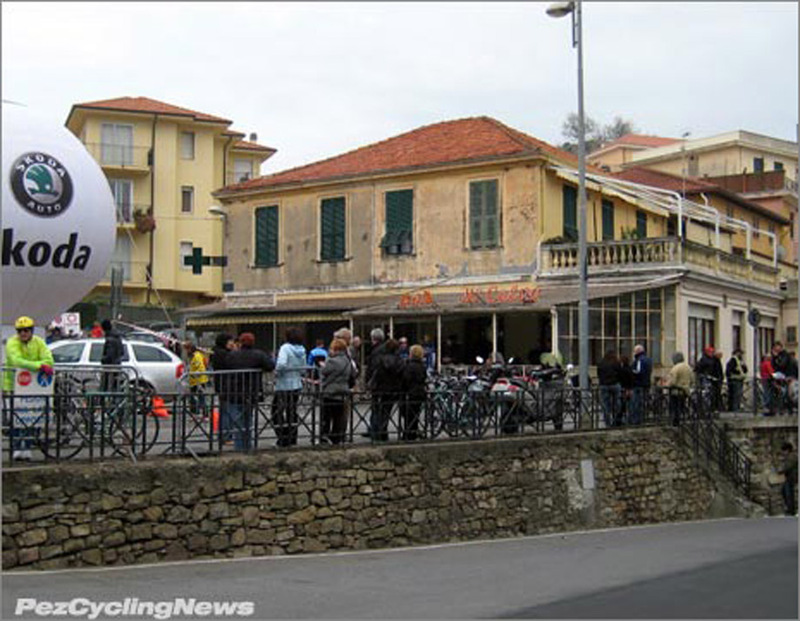 The town seemed somewhat oblivious to the ProTour storm set to blow in around 5PM. By now you know how I feel about this weekend – seeing la Classissima is pretty much like being a kid on Christmas morning all over again. 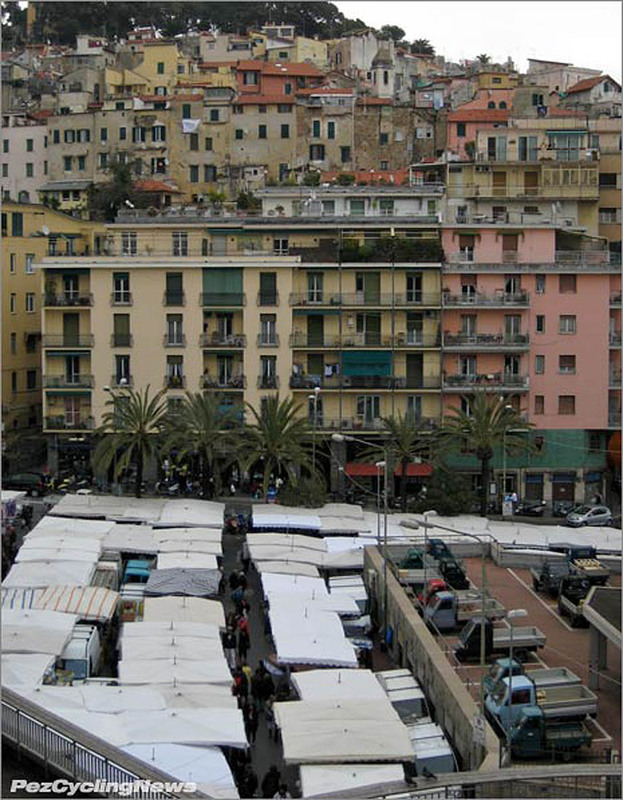 Here’s a sight that would have the same effect on Mrs. Pez – the Saturday morning street market. Under every one of those tents is a vendor selling all kinds of treasures/ junk for bargain/ rip-off prices. It truly is a sight to behold, and searching for whatever she could find inside, my wife would approach the mercato with the same gusto that I approach the Poggio. 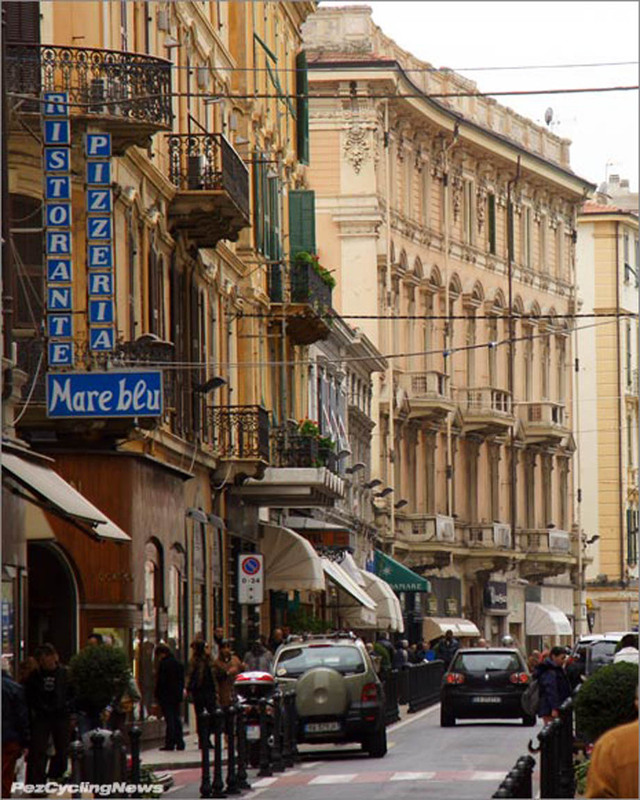 No visit to Sanremo is complete without some time devoted to via Roma – the famous former finishing strada. For many of us, it was photos of cycling’s biggest hero’s crossing the line on the town’s main street that still evoke the true emotions of the race. 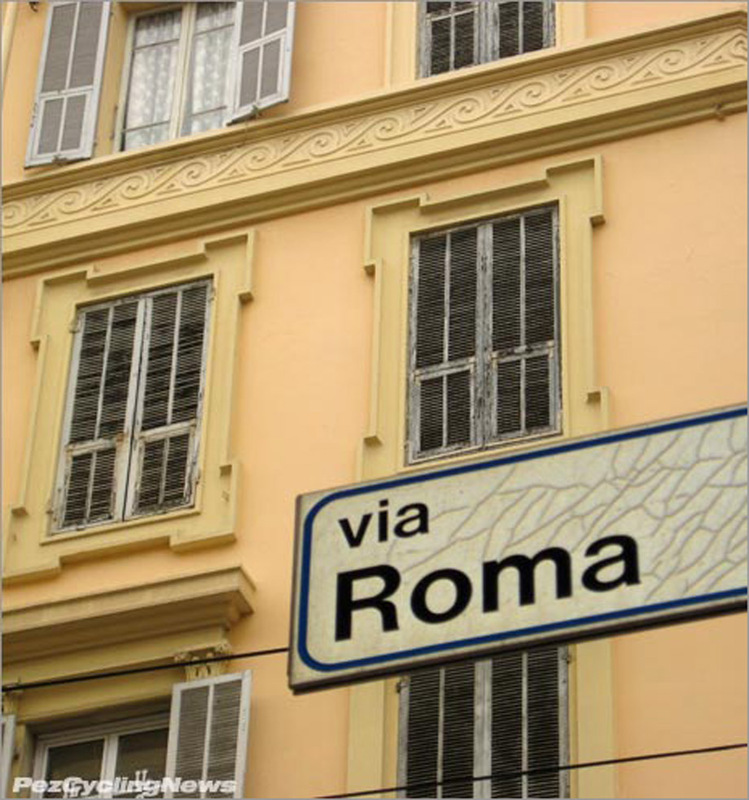 But via Roma is an old street, built with a hump down the middle to assist drainage, but the off-camber kilter does not the safest sprint zone make. In recent years, the finish has moved south a block, onto a much wider area in front of the train station, where the pavement is even and access for the rolling circus is much better. 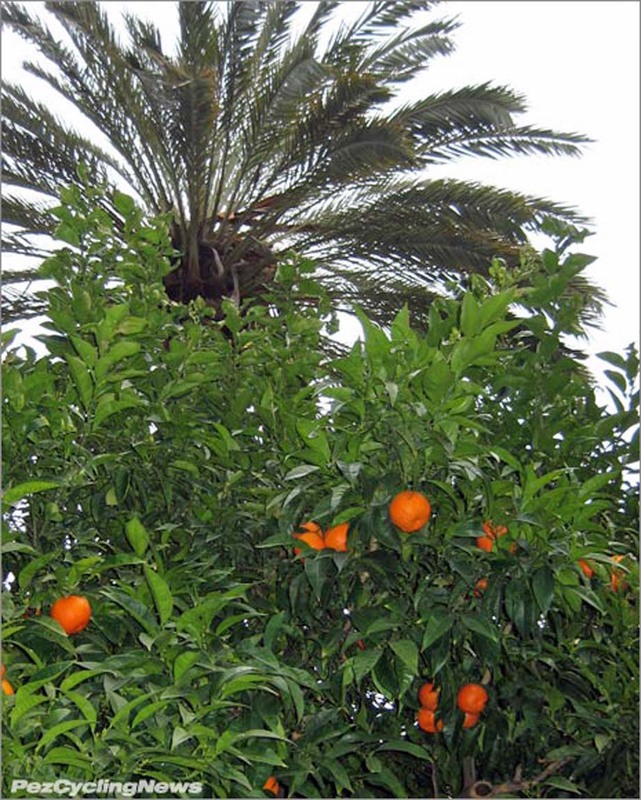 Here’s something a lot of us just don’t see too often – oranges – ripe and ready to pick in March. The area is filled with these orange trees, both in private yards, and as public street decoration. Then it was into the kit, onto the bike, and out the door for my date with ‘destino’ – and seeing the race on the famed Poggio. By 2PM the roads from the Poggio on through are pretty much closed, so the spin along the coast was a pleasure, albeit one with a noticeable amount of adrenaline increase as I approached that turn off the low road. I met up with my old friend Mino of Ciclonews.it, and Marta Gazzola of GAERNE shoes, and promptly enlisted Marta as a deputy-photographer for my own assault of the climb. That’s a story unto itself, but suffice to say that by the time I pushed the Fondriest’s SRAM Red into the big ring, I was deep into the deep end of a day for my own personal history books. The famous bar atop the Poggio – there’s only one and impossible to miss. No trip here is complete until a beer has been sipped from inside its humble confines. 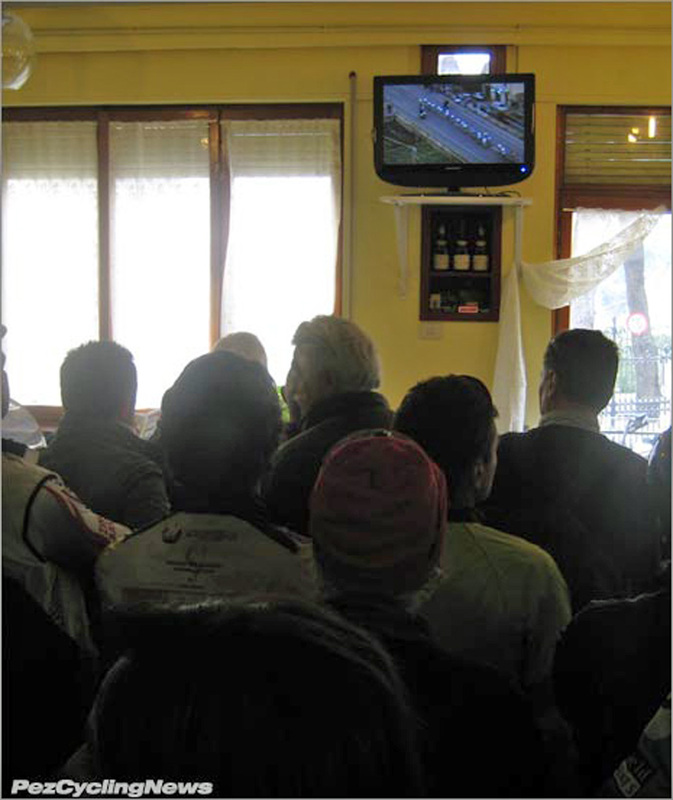 Riders just line their bikes up outside and cram into the tiny space – all eyes focused on the one television. A room full of steaming, lycra-clad men packed body to body - it's what's on the screen that makes it okay. But I wanted a different view of the race, and one that PEZ readers had not seen before. Over the years we’ve embedded with race fans a various places on this climb – Ed pretty much calls this bar home on race day, while Alessandro prefers the steeper slopes just before the summit. 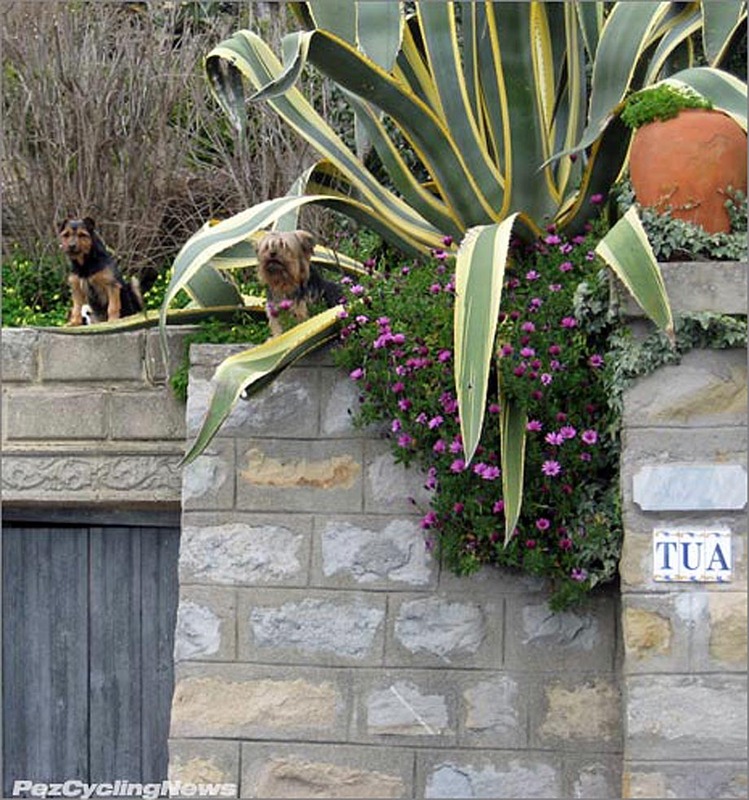 So I set off down the descent, in hopes of staking out my own personal Poggio paradise. Seems the excitement isn’t reserved just for us human-types. I spotted this critter with the perfect perch above the race course. And no sooner had I stopped to record the rascal than his inner German Shephard exploded in a litany of high-pitched yelps, which produced several of his pint-sized pals who joined in a rousing rendition of “this is our spot and you’re daft if you think you’re watching the race from here”. I wisely moved on to more serene surroundings. Not far from the furry noise-makers was a very nice switchback, with nice views of the race approaching, and exiting the turn, and with San Remo also visible in the background. There was one other spot just before this that I actually liked better for photos, but his turn also had tv. The deal, as they say, was done. There are two kinds of people you meet at a race – those you know, and those you don’t. 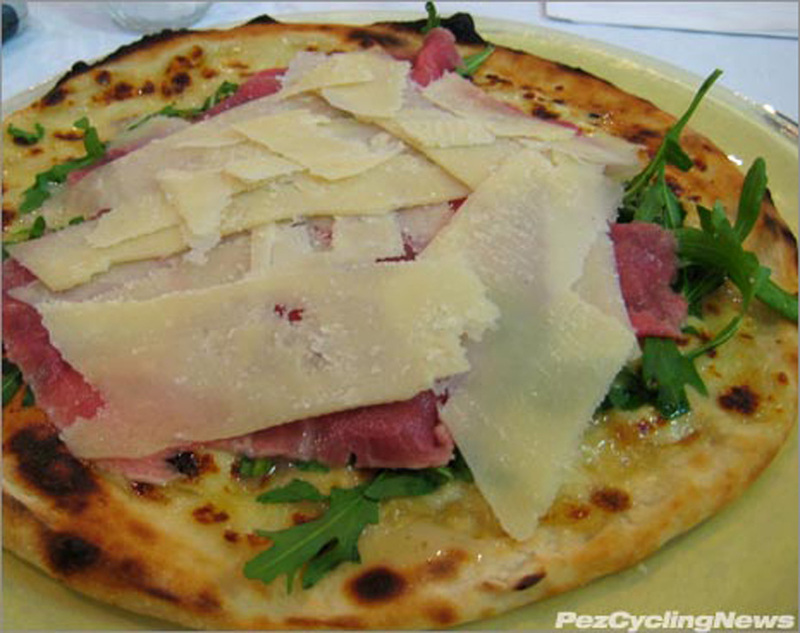 Larry & Heather are in the first group for me – and likely people you’d want to know too – if cycling in Italy and eating & staying in authentic, non-touristy places is your idea of a great vacation. 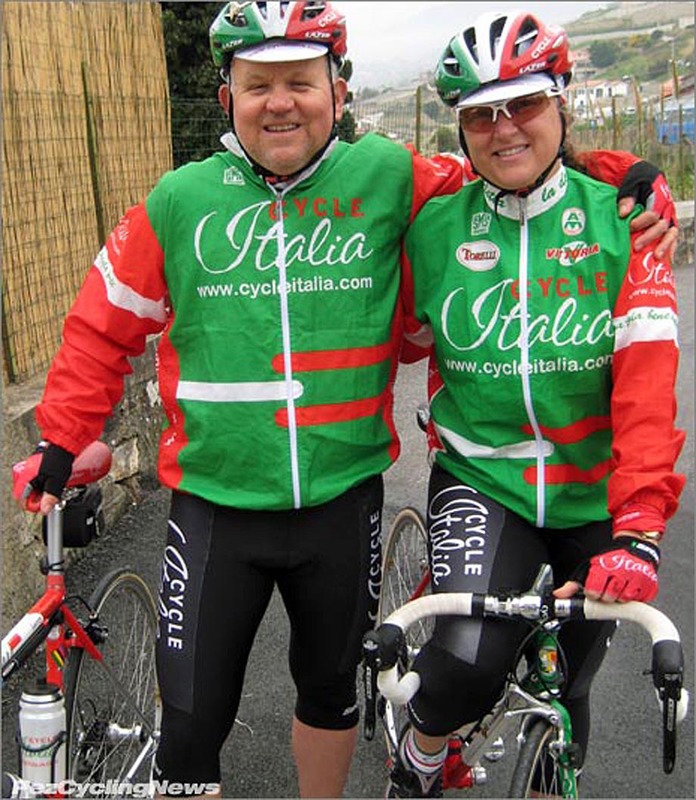 They’re Americans living in Italy, and also the owners of CycleItalia bike tours. 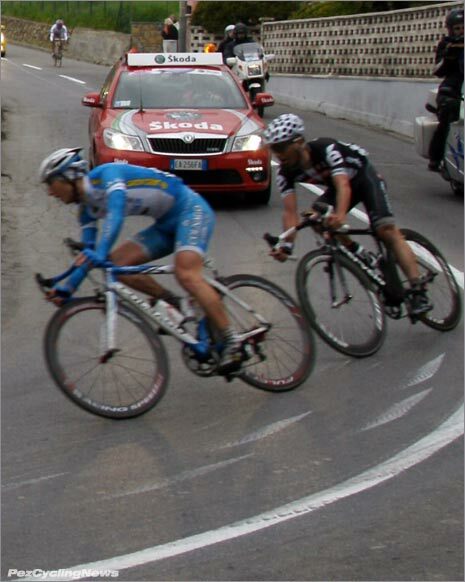 The last time I saw them was 1994 at the Giro, but our paths crossed again on the Poggio. They were just back from Sardenga, and were here to enjoy the race, while I’m sure ponder the idea of adding this itinerary to their trip list. Then it’s race time. 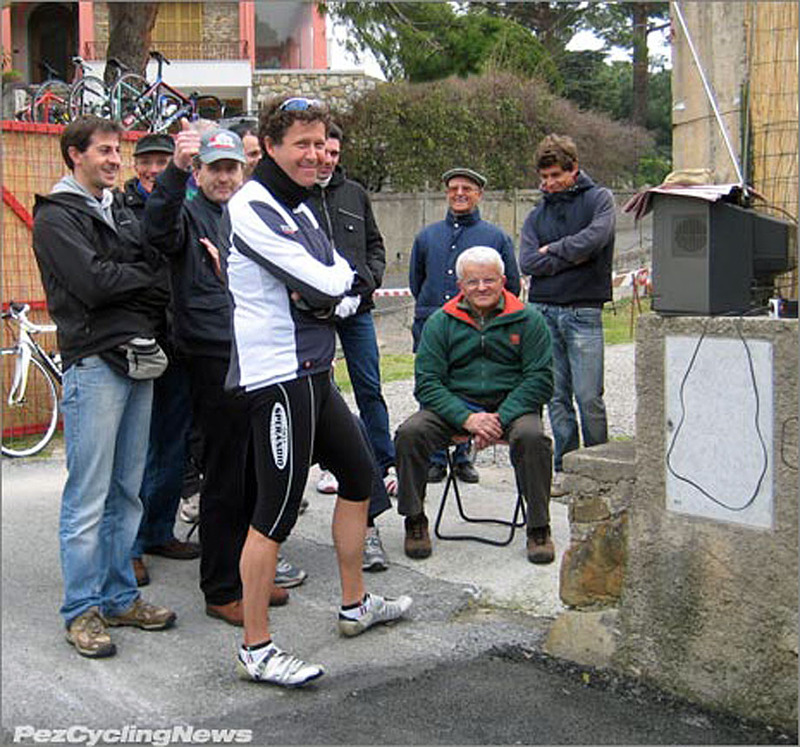 I huddle around the tv with my new pals, and we watch the attacks thrown down on the climb. They stay together over the top and as the helicopter thumpa-thumps overhead, we know it’s just seconds now... Everyone turns away from the tv and I run to my spot opposite the turn’s apex. Nibali leads the way, the group is strung out as close as 25 rides can be at breakneck speeds. I pull the trigger on the Sony and let the motordrive take over – clickclickclickclickclickclick- I pan with the riders and subconsciously work the zoom. Nibali sprints out of the corner – desperate to open a gap on the way down. In seconds they’re gone. I hope the camera’s recorded something good – won’t know for sure till I can review ‘em on the Mac. Then it’s quiet. Passing seconds seem like minutes between groups. I admire that so many riders chose to complete the full distance, even though it’s a much easier and faster route to the bus by bailing on the Poggio. There are even riders – many without team cars - mixed in with tifosi who are already making their way down. With the broom wagon is hot on their heels, the final group heads for home. Only 4km to go. 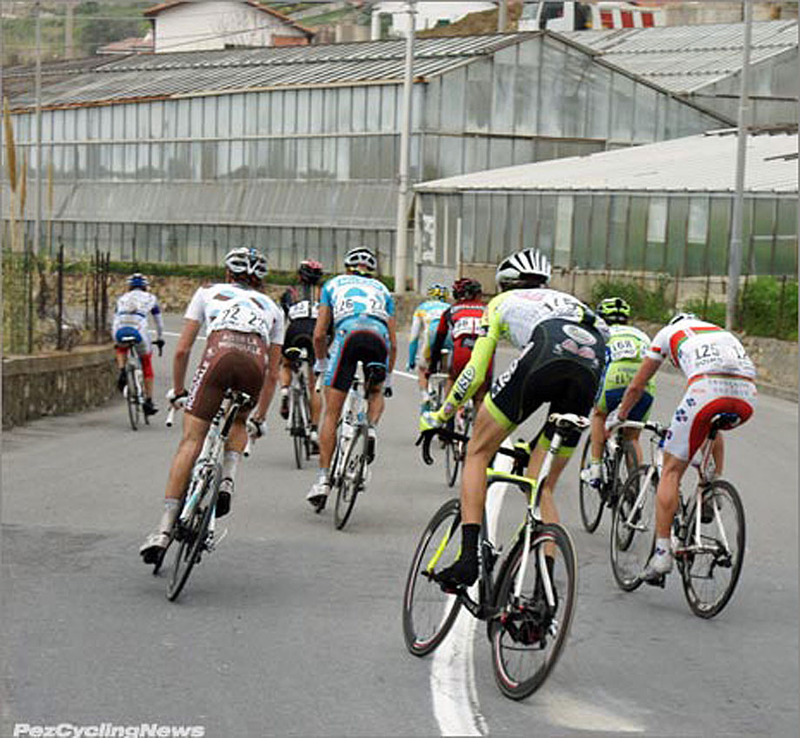 What’s the point of riding the Poggio when the race has left them behind…? Then again, after 291km, what are 7 more to say you did it. I imagine that would be a satisfying moment. And I realize I know one more thing about what makes this race special.